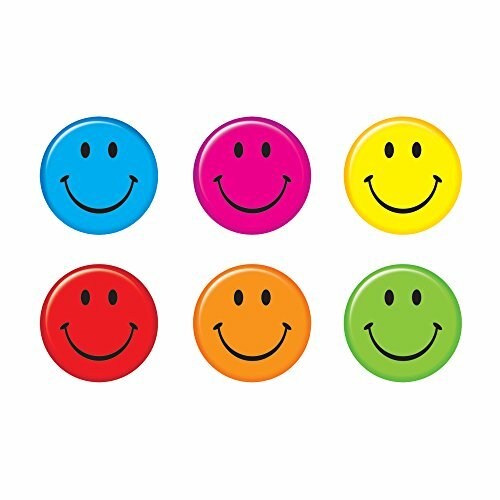 Put on a happy face in 6 colors: magenta, yellow, green, red, blue, and orange. Spotlight good news and accomplishments, accent displays of student work, track good behavior, and develop flash cards and learning games. Endless ways to energize, delight, engage! 5.5" tall, precut & ready to use. Durable & reusable. 6 colors, 36 pieces.